Nike Studio Beijing is a pop-up space constructed within a 1,200-sqm gallery in downtown Beijing. The aim was to create a workout area and retail exhibition that tied together seamlessly. Based on the Nike philosophy that everyone is an athlete, the guiding principle of the interior design concept was to create an atmosphere of “infinity and empowerment”. The entire store space was designed to evoke as emotional of a response as possible from visitors. 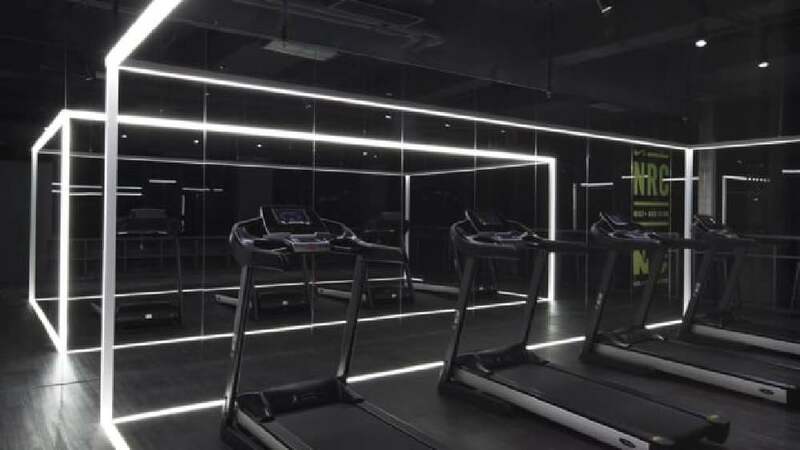 Therefore, the workout area was rendered almost entirely in black so that it created a strong contrast against the free-floating exhibition spaces. Other areas included a lounge as well as lockers and washrooms with Nike adages emblazoned across the walls. References were made to track and field elements, seen in linear structures installed in rows, which were used to display featured products. This pop-up store impresses by making the brand come vividly to life within a strictly limited space and timeframe. It offers many different experiences in the narrowest of spaces, backed up by a consistent design idiom that both stages the various areas individually and connects them harmoniously with each other. The result is a comprehensive brand experience that leaves a lasting impression on visitors.